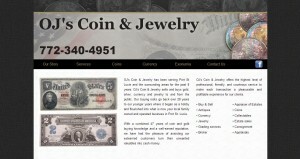 OJ’s Coin & Jewelry address, phone, website, and more. OJ’s Coin & Jewelry has been serving Port St Lucie and the surrounding areas for the past 8 years. 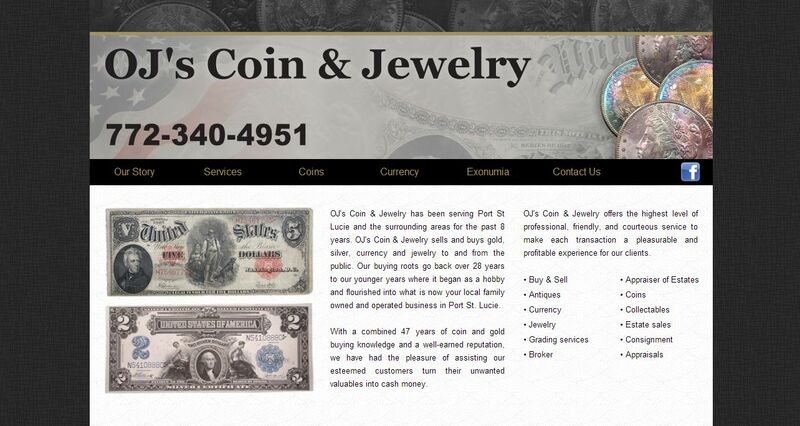 OJ’s Coin & Jewelry sells and buys gold, silver, currency and jewelry to and from the public. Our buying roots go back over 28 years to our younger years where it began as a hobby and flourished into what is now your local family owned and operated business in Port St. Lucie. With a combined 47 years of coin and gold buying knowledge and a well-earned reputation, we have had the pleasure of assisting our esteemed customers turn their unwanted valuables into cash money.